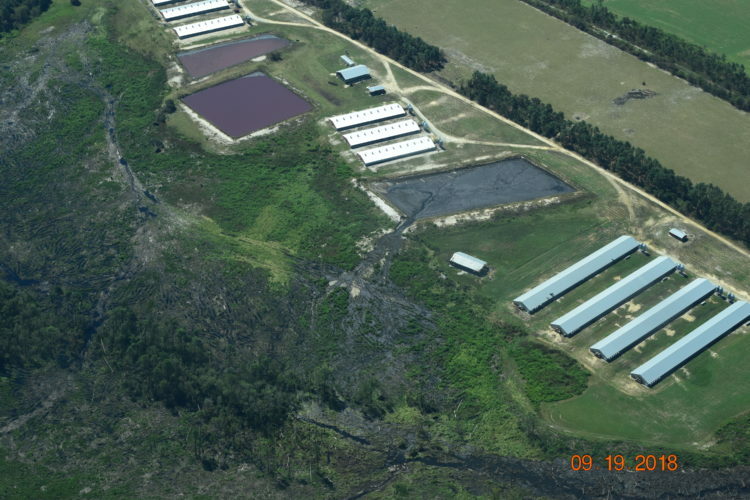 Hurricane Florence unveiled one of North Carolina’s dirty secrets to the nation: we allow millions of tons of hog waste to be stored in open pits — in a floodplain. Read our Op-ed, published in the Wilmington StarNews October 7, 2018 for more information. Visit our TAKE ACTION page for ways you can address this issue.